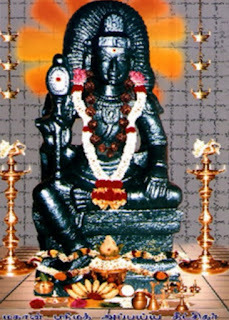 Sri Muka Panchashati was composed by Sri Muka Sankarendra Saraswati, the 20th Acharya to adorn Sri Kanchi Kamakoti Peetam. The acharya was the son of one Vidyavati, an astrologer and astronomer. He was a congenital deaf-mute. But through the grace of Goddess Kamakshi he gained the power of speech. 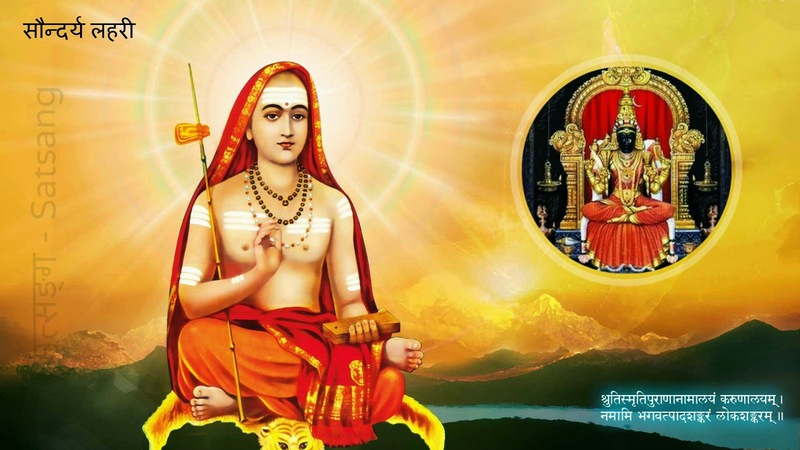 On knowing this attainment of speech by Muka because of the grace of Devi, the then Acharya of Sri Kanchi Kamakoti Peetam, Sri Vidyaghana, sent for the boy's parents and told them of his intention of giving sanyasa to the boy and, with their consent, gave sanyasa to the boy and ordained him as his successor in the Kamakoti Math. Vikramaditya Sakari of Ujjain, Matrugupta, some time king of Kashmir, and Pravarasena, who succeeded Matrugupta on the throne, all considered it a rare privilege to serve at the feet of this great Acharya. Muka Sankara is the author of Muka Panchasati, a lyrical outburst of poetry on Kamakshi, The mellifluence of the work is said to be rivaled only by Lila Suka's Krishna Karnamrta. 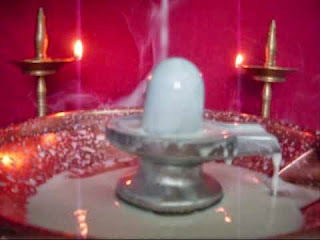 He attained mukti at a village near Godavari on full moon day in the month of Sravana of the cyclic year Dhatu (437 AD). Vedas mention of “Ritam Satyam Parabrahma” meaning universal orderliness (rita) and Truth (Satyam) are Parabrahma (Paramaatman or Supreme Principle). Chamakam found in Sri Rudram of Rig veda presents a grand vision of Universal and Eternal orderliness which is maintained by all the Vedic Gods indicated somewhat by what we call in arithmetic as Progression in Chamakam. Human being’s duty is to observe and reflect that kind of orderliness in his or her own life. Closely related to and mostly identical with rita was Satyam (Truth). Satyam was declared as Sun (soorya or Savitar) in early upanishadic thoughts whose very nature is this Satya. Satya in later period got mixed up with rita as creation progressed and was identified not only with Brahman (Supreme Principle) also called Paramaatman but also with the person of body-mind-complex referred as Jeevaatman or individual Self. It is therefore no wonder that even and odd numbers are presented to us as Mantras (Vedic text or hymn) in strange orderly fashion with no explanation abounding in mystery of life and its yearning for liberation. This order also ended abruptly with 33 in odd series and 48 in steps of four in the even series. Mystery contained in this limited orderliness is speculative with the only restriction being it is meditation oriented on Supreme Principle. மூலாதாரத்தில் ஆனந்த நடனம் Activates Muladhara chakra, rejuvenation of entire system, inducing high spirits and great optimism.. Cures ulcers and intestinal disorders.